Having set your goals is one thing but keeping focused and on track is quite another thing altogether. If you are not working with a coach or extremely motivated to achieve your goal on time it is easy to lets things slip. Most goals require some form of physical engagement, whether it be to write a book, lose weight, run a marathon, change jobs. It takes a lot of thinking and effort to turn your dream goal into a reality and it is so easy to start making progress then become complacent or become side tracked only to find that time has slipped by and your not making the progress you had planned or have lapsed with the progress you have made. Write your goals down, make sure they are SMART goals and have a deadline. Next chunk down you goal into smaller, achievable steps – working on one at a time makes it less scary if it is a big goal. Chart your progress – it’s motivating to see what you are achieving as you go. Work with a Coach – or if that is not possible join a Coaching Group. Meet with other people who have goals they are working on will help you feel motivated as you help and support each other. 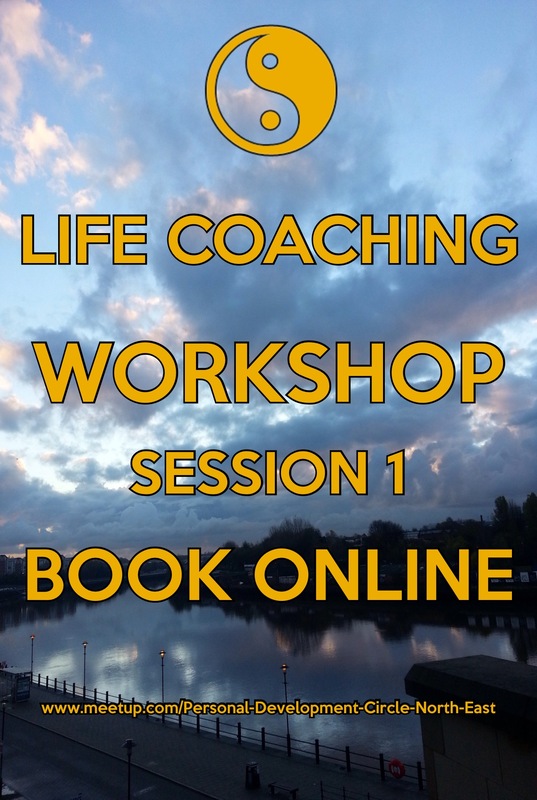 This entry was posted in Personal Development Circle North East and tagged coaching, coaching group, focused, goals, group coaching, Law of Attraction, Lose Weight, motivated, Newcastle, Newcastle Performance Coaching, SMART, support. This session is a great Introduction to the Law of Attraction. We will look at the steps to take to successfully engage the Law of Attraction to attract Personal and Professional success. This is an interactive session in which members share their own knowledge, experience and success when engaging the Law of Attraction. Whether you are new to the concept of engaging the Law of Attraction or if you have used it before this is a great informal session to meet other like minded people and take something positive from the session. Refreshments provided – please bring a notebook and pen. Limited places available (10) so that everyone has the opportinity to contribute. The session is facilitated by Newcastle Performance Coaching Limited – this is one of their regular Personal Development ‘Cafe’ sessions. This entry was posted in Law of Attraction and tagged Law of Attraction, Law of Attraction Cafe, Newcastle Performance Coaching, Newcastle upon Tyne, Personal Success, Postive, Professional Success. Professional People North East are joining up with the Personal Development Circle North East and other meetup groups in the North East for their monthly pub night at the Fox and Hounds in Newcastle this week. Typically we have 15-30 people pop along and have something to eat and drink. It’s very relaxed and informal – so if you are at a loose end why not come along and join us. Professional People North East is a social group for single professionals in the North East who first and foremost want to build friendships and socialise – meeting someone special for some would be a bonus. Not all single 40+ people want to hit the dating sites or have a friend, colleague or family member play matchmaker for them. So this group is idea for anyone who would like to get out a bit more, build friendships, socialise with other single professionals. Great thing is that it’s so cheap to join – £10 a year and if you go to our events then you buy your own food, drinks and tickets so you have control of what you spend and can keep within your financial budget. What do we do? We are an events website that run pub meals, coffee, cinema, friendship group, restaurants in the North East. Members log in – find out what events are on and if they want to go they click the RSVP button to let other members know they will be going – simple!!! Where do we meet? Newcastle and Gateshead mainly however any member can add a social event to our calendar so if you are in Sunderland, Durham, Tyne Valley, Northumberland that’s fine – just pop up an event on our website (its free to add you own things) at your local pub, coffee shop or maybe a walk somewhere nice, dancing lessons, or whatever interests you. See who comes along and maybe you will be a new friend or 10. The Personal Development Circle North East if for people who are interested in their personal self development, they have regular sessions most weeks. Workshops are called ‘Cafes’ as they are relaxed, informal and there’s plenty coffee/tea to be had. Sessions include life coaching, building positive relationships, improving confidence and self esteem, engaging the Law of Attraction, Spirituality, NLP, stress, stress management, time management and more. At only £15 a year for membership which gives access to so many workshops and discussion groups (many discounted to PDCNE members) this website is well worth checking out. 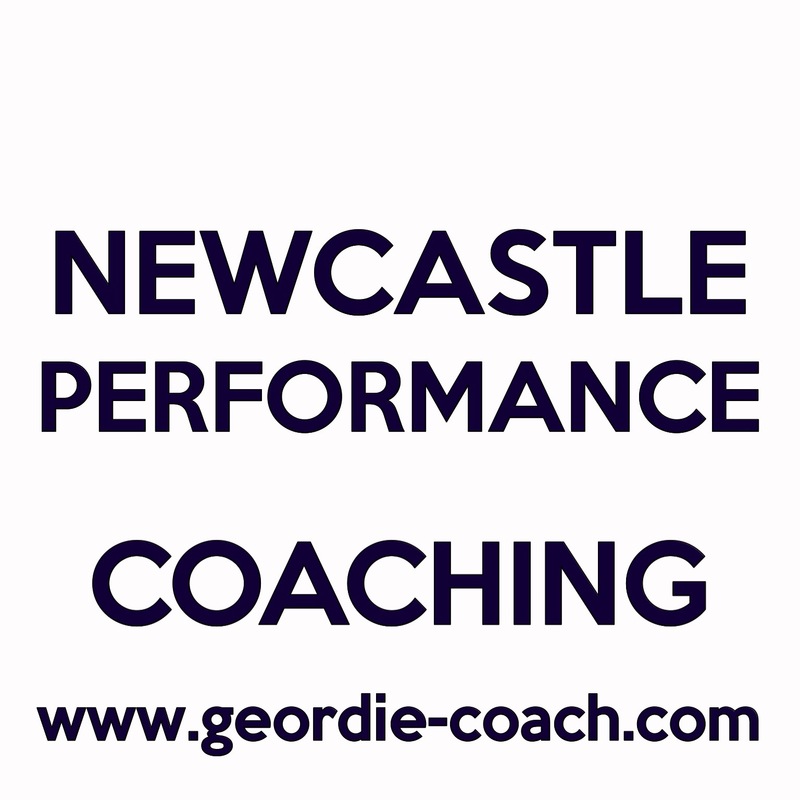 Both groups are sponsored by Newcastle Performance Coaching Limited http://www.geordie-coach.com a coaching, training and consultancy business that works with Professional People in the North East to bridge the gap to their success. This entry was posted in coaching, Law of Attraction, NLP and tagged building positive relationships, coaching, Coaching Cafe, confidence, engaging the Law of Attraction, goals, improving confidence and self esteem, Law of Attraction, life coaching, Newcastle, Newcastle Performance Coaching, NLP, North East, Personal Development, PERSONAL DEVELOPMENT CIRCLE NORTH EAST, PROFESSIONAL PEOPLE NORTH EAST, Spirituality, stress, stress management, Time Management. Well we passed Blue Monday and how many of us are still on track with our goals? Setting goals is the easy bit. I challenged members of my Coaching Club to set some great inspiring goals for the first quarter of 2014 and they did a great job. Well they delivered and came up with some cracking goals, I was well impressed. This week we are looking a Milestones and Resources, looking at commitment to reach our goals and connecting with the great feelings we will have when we achieve success. The Coaching Club is on each week in January and February (Saturday afternoons) and you get purchase your tickets on Eventbrite. The PERSONAL DEVELOPMENT CIRCLE NORTH EAST workshops kick off tomorrow morning with a Law of Attraction session 10am to 12 noon. This week we are looking at the Law of Attraction and Health. The meeting is open to ANYONE looking to discuss and explore the Law of Attraction. Below are the topics we will be covering in our 2014 Law of Attraction Cafe. JANUARY – Health and the Law of Attraction. • Explore how the Law of attraction can help you with well being and general health. • Use the power of the universe for pain relief and stress management. • Discover how your mind can help you use the Law most effectively. • Attract good health to you and your family. • This meeting will be held in the Centre for Sport, Newcastle. • Feel free to bring drink/flask with you. • The meeting will end 12 noon prompt as the Coaching Club starts at 1pm in the same venue. Time for a fresh start? Discuss how the Law of Attraction can give you the best life purpose that you truly want. • Map out your next steps and where you see yourself in the coming months. • Learn techniques to help ditch old behaviours and work effectively with the power of the universe. Refreshments are not included so bring a drink/flask along with you. Law of Attraction Meetings are usually held monthly. The PDCNE also run ‘Teachings of Abraham’ & ‘Spirituality’ meetings see our calendar for details. This meeting will be held in Newcastle, venue may vary. This entry was posted in coaching, Law of Attraction, Personal Development Circle North East and tagged 2014 Law of Attraction, abundance, Attitude, Attitude and Gratitude, build bigger business, business, business coaching, Cafe, coaching, Coaching Cafe, Coaching Club, confidence, Discuss, Explore the Law of attraction, family, financial security, goals, Gratitude, Gratitude and the Law of Attraction, Gratitude with the Law of Attraction, Health, Health and the Law of Attraction, Law of Attraction, Law of Attraction Cafe, Law of Attraction Meetings, life coaching, life purpose, Living the Law of Attraction, Living the Law of Attraction every day, Money, Money and the Law of Attraction, motivation, North East, opportunities, pain relief, PDCNE, Personal Development, Personal Development Circle, PERSONAL DEVELOPMENT CIRCLE NORTH EAST, Personal devlopment meeting, power of the universe, relationships, Relationships and the Law of Attraction, self esteem, Spirituality, stress management, stress relief, succeed, Take action, Teachings of Abraham, Understanding the Law of Attraction, visualising, Wealth, Your Life Goal. I know sometimes it is hard for people to keep up with all the events we have running- but that is good – it shows we have lots on offer for you to pick from. To keep things simple here is a quick and easy guide to what is coming up in January 2014. Please support the Personal Development Circle North East and it’s presenters as best you can by attending the meetings that interest you, coming along to our socials and forwarding details of our events to people you know who may be interested in coming along to our events. 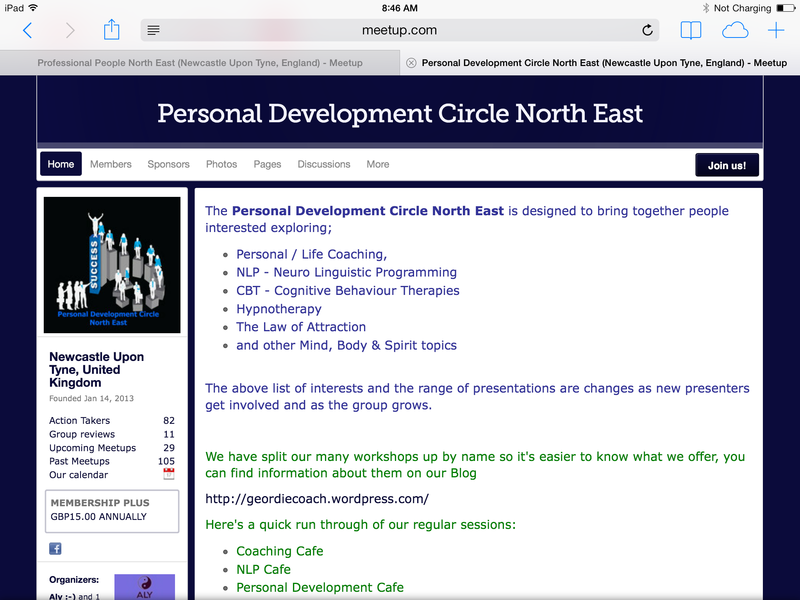 The Personal Development Circle North East is a not for profit group. We deliver quality events for people at very affordable prices. Events will run whether 1 person or 30 people attend. We may make a loss on some events but make it up on other ones. Restricted numbers apply to many events (due to the size of the rooms) except the socials and the NLP Cafe so early booking is recommended. This entry was posted in Social Events and tagged coaching, Coaching Cafe, Coaching Club, goals, Law of Attraction, Law of Attraction Cafe, Newcastle Performance Coaching, NLP, NLP cafe, Personal Development, Personal Development Cafe, PERSONAL DEVELOPMENT CIRCLE NORTH EAST, Spirituality Cafe, Teachings of Abraham. Will questioning our values make us happier? The decisions we make in life are often dictated by our values and beliefs. Most of your values and beliefs would have came from those around you as you grew up; friends, family, teachers, peers. The values and beliefs that we have are what have shaped us into who we are today. If you do what you have always done, you will get what you have always got. Anthony Robbins. The values and beliefs we have are what empower us to take action but also what holds us back at times. If you look back at your life you can often recall where they came from. Write down what your values and beliefs, ask yourself where they originate from and look for evidence to back them up. For example being told you are clumsy by an aunt when you were a child may have caused you to grow up believing that you are clumsy. Interestingly when you look back at your life you are most likely to recall events and occasions when you dropped or damaged something. However by turning things around and looking for situations where you have not been clumsy, dropped things etc and focus on times where you have can evidence this is not the case your views may change. Your values and beliefs could be holding you back from succeeding in life; impacting on decisions you take. For example, not starting a new relationship because you were hurt previously, not seeking career progression as you are worried your peers may resent your success and your relationships may suffer, not losing weight because you have been unsuccessful previously. Just because you have been unsuccessful previously does not mean that you are a failure, it just means that you may need to look for other resources or skills to help you achieve what it is you are seeking to do. Write down 10 things you love doing. Put the list in order as to the things you enjoy doing most at the top of the list. Write down next to each answer at least 7 things about what it is that you love about it. Now write down 10 things you hate doing. Again put the list in order and put the things you most dislike doing at the top. Ask yourself what it is about each thing that you least like doing and why, try to come up with 7 answers for each. Ask yourself if there is any evidence to support why you dislike the things you hate doing? Has something been said or done to make you feel this way. Now ask yourself what 7 things could you do to make doing each activity more enjoyable. Do you feel differently about them differently now? Are you willing to give them a go? This is more than just identifying a list of things that you really like doing and the things that you hate doing. The reasons why you like or dislike something often comes down to the values and beliefs you have. This is normal, as is the desire to challenge our ways of thinking so that we can live a happier more fulfilled life. The same process applies when you are setting goals. The secret to great goal setting is more than just writing a list of ‘wants’. Take time to set goals around things that you love to do and this will make them easier to achieve. If you come across challenges do not give up, look at the challenge and explore ways to get around them, is the challenge down to your values and beliefs? If so, look for evidence to disprove a limiting belief and identify ways that you are able to move forward. When you live your life in accordance with your values and beliefs you will be happy and fulfilled. If you have limiting beliefs that are not serving you it is fine to question where you got the belief from and seek to replace it with a more empowering belief that will serve you better. When should you make a start? No time like the present! Why put off what you can do now? This entry was posted in coaching and tagged Happiness, Happiness: A Guide to Developing Life's Most Important Skill, Health, Law of Attraction, The Art of Happiness.